The eastbound bridge was originally built as a two- lane, two-way bridge in 1947. In 1966, a new westbound bridge was open to traffic that allowed for two lanes eastbound and two lanes westbound. The eastbound bridge was rehabilitated in 2018 to give it another 10 to 15 years of service life. Planning, design, acquiring rights of way, environmental permits and First Nation consultation are the next stages in the project. The project will support 308 direct and 221 indirect jobs. 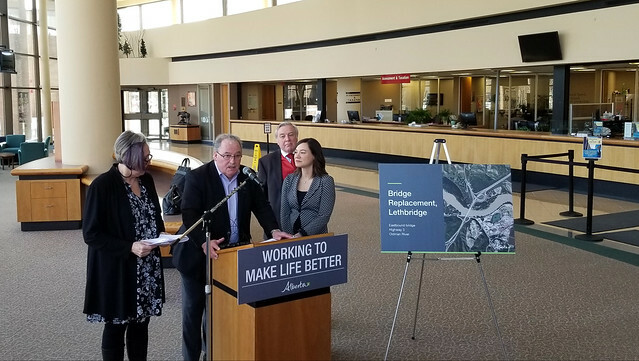 On average nearly 34,000 vehicles travel across the Highway 3 bridge in Lethbridge every day.